Don’t assume data security is assured when using the cloud. That’s cloudy thinking. Globalization and the ability to work from anywhere, has created a need for instantaneous secure information sharing, pushing businesses to move file storage to the cloud. Most companies assume that saving their documents on the cloud removes any data security risk when disposing of their electronic devices. Nothing could be farther from the truth. 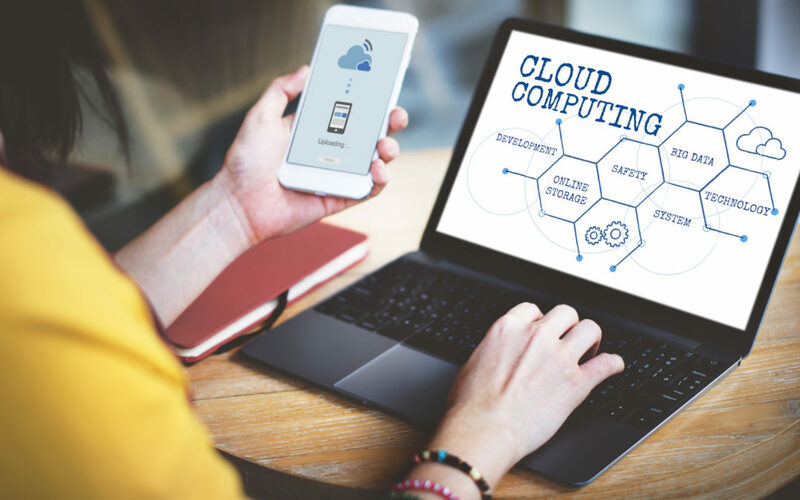 While using a cloud service provider ensures the security of the data living on the cloud, many companies forget that the very same data is still stored on the computers and other data storage devices used by their staff. Transferring data to the cloud does not mean that the data leaves your hard drive. Neither does deleting files from the drive. On any hard drive, there can be multiple places where data is stored. Erasing data from the most obvious places doesn’t completely get rid of it. It can be recovered using specialist software that is widely available. Hard drives are in most electronic devices we use for business; not just computers and smartphones, but also scanners, fax machines, copiers, even medical and lab equipment. When discarding any of this electronic equipment, the only sure way to protect your sensitive information is to have the hard drive properly disposed of by a responsible data destruction company. In 2006, Idaho Power Company participated in a hard drive recycling program, but failed to properly erase data from the drives first. The salvage vendor receiving the drives neglected to check the drives and remove data. As a result, hundreds of drives appeared on eBay full of confidential employee information. In 2009, the British publication Which? Computing conducted a study resulting in the recovery of 22,000 “deleted” files from eight computers it had bought on eBay – demonstrating once again that normal deletion is insufficient to remove the data. In 2014, two U.S. health care organizations wound up paying $4.8 million for failure to protect customer data. One of the physicians involved in the case had attempted to deactivate a personally owned computer server without the technical safeguards required. This allowed patients’ personal information to be viewed online. These kinds of incidents, unfortunately, are becoming increasingly common, to the delight of data thieves. The good news is that data theft is completely preventable. The only sure fire way to stop criminals stealing data from your hard drive is to destroy the drive. Not by drilling holes into it, as many think. And not by taking a sledgehammer to it. Information can be recovered from a drive even after it has been smashed to pieces. The best prevention of data breach is to work with a certified data destruction company that will ensure your data is gone for good. A trusted partner will manage your hard drive destruction thoroughly, safely, and in an environmentally conscious manner. It will provide you with any documentation you may need to prove you have met the legal compliance obligations required in your industry. Visit us at www.adlprocess.com/what-we-do/secure-data-destruction/ to learn more about our secure data destruction services.